Based on a global study, BV4's brand experts and their scientific partners at HWZ analyzed the most successful social network brands. They examined the qualitative aspects of the brands, i.e. 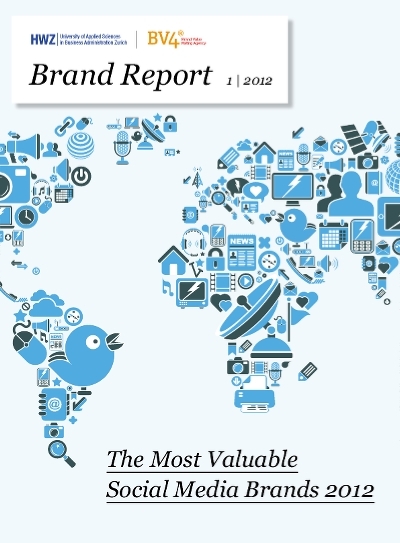 brand strength, and also determined the monetary values of the 50 most valuable social media brands. The 30 most valuable brands were then listed in this ranking.